Ciro "Artichoke King" Terranova, former rackets boss of East Harlem, New York, died February 20, 1938, of natural causes. He was the only son of Angela Piazza to die without a bullet in his body. Terranova suffered a mild stroke on Tuesday, February 15, 1938, while at his apartment, 338 East 116th Street. A more severe stroke occurred at one o'clock on Thursday morning. Terranova's left side was paralyzed and he could not speak. His wife Teresa (known as "Tessie") called for an ambulance. Terranova was taken to Columbus Hospital. 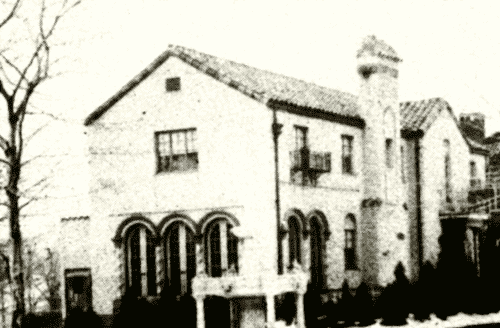 That hospital's mission for many years had been the treatment of the Italian-American poor. Though he had once been a wealthy and powerful Mafioso in East Harlem, with a palatial pink-colored home at Pelham Manor, Terranova had in recent years lost his riches and his influence. Hospital officials said the forty-nine-year-old Terranova's condition was serious but gave him a "fair chance" of recovery. Thirty minutes after midnight on Sunday, February 20, he passed away, becoming the only one of four male siblings, all New York Mafiosi, to die of natural causes. Unlike the send-offs given to many of his contemporaries, Terranova's funeral was inexpensive and fairly small. After a wake at his apartment, the inexpensive, white metal casket containing his remains was taken on Wednesday, February 23, to Our Lady of Mount Carmel Church, East 115th Street near Pleasant Avenue. (The funeral director told the press that the casket cost $500. In contrast, the bronze casket holding the remains of Terranova's nephew Joseph Catania back in 1931 was said to cost $10,000.) The procession included fifteen cars of mourners and four cars of flowers. A brief funeral Mass was celebrated by Father Peter Fiore. Angela Piazza, then about ninety, attended, with Terranova's widow and their five children, a small crowd of relatives and old friends. The ceremonies were also observed by a dozen detectives, eight patrol officers and two police radio cars. It was reported that the religious services were conducted while painters actively worked in the church on overhead scaffolding. After the Mass, Terranova's remains were transported to his gravesite at Calvary Cemetery in Queens. 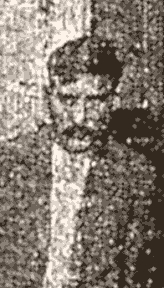 Ciro's brother Nicholas "Coco" Terranova was shot to death September 7, 1916, in Brooklyn as he attempted to resolve a Mafia-Camorra War. 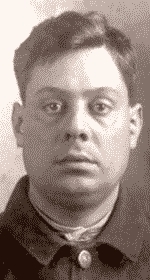 Brother Vincent Terranova, killed May 8, 1922, at 116th Street near Second Avenue, was an apparent casualty of a gangland conflict between Mafia boss of bosses Salvatore "Toto" D'Aquila and insurgent gangs in Manhattan. 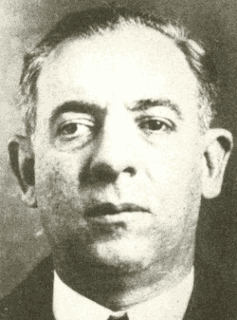 Half-brother Giuseppe Morello, a former Mafia boss of bosses, was attacked and murdered in his office, 352 East 116th Street, on August 15, 1930, during gangland's Castellammarese War. All the brothers were born in Corleone, Sicily. Their mother, Angela Piazza, was married to Calogero Morello at the time of Giuseppe Morello's 1867 birth. 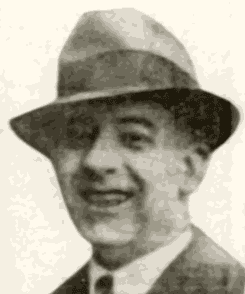 Calogero died about five years later, and Piazza later married Bernardo Terranova, father of Vincent, Nicholas and Ciro. 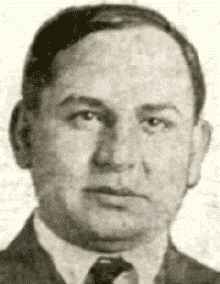 Ciro Terranova took precautions against a death by gangster bullets. He moved himself and his family (which grew to include the daughters of his murdered brother Vincent) to remote Pelham Manor. When traveling in New York City, he made use of an armored limousine. Terranova accumulated much of his wealth by monopolizing the distribution of artichokes in the New York area, a racket that gave him the title of "Artichoke King." He also reportedly benefited from a share of Dutch Schultz's numbers racket income. The start of Terranova's decline is generally placed in December 1929, when a testimonial dinner for Magistrate Albert Vitale of the Tammany's Bronx-based Tepecano Democratic Club was held up by gunmen. Guests were robbed of money and jewelry, and a police officer had his service revolver taken from him. An investigation showed that a number of the dinner guests were politically-connected underworld figures: Ciro Terranova, Joseph Catania and his brother James, John and James Savino, Daniel Iamascia and Paul Marchione. 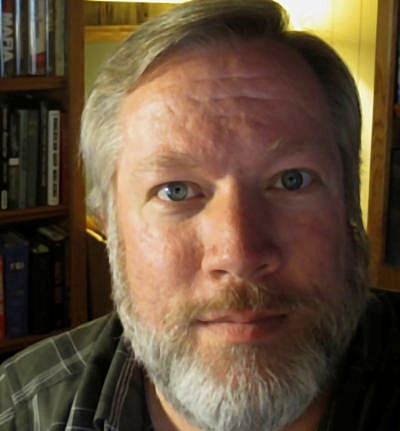 The incident revealed connections between the political establishment and racketeers. Suspicions of Vitale's close relationship with criminals were reinforced when the police officer's service revolver was quickly returned by the robbers. 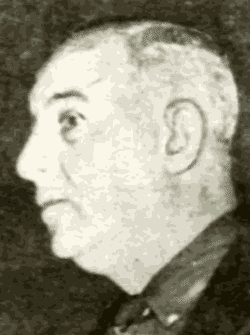 Mafia turncoat Joseph Valachi revealed that Terranova lost all respect in the underworld following the assassination of "Joe the Boss" Masseria on April 15, 1931. According to Valachi, Terranova was present with other members of the Masseria leadership when Joe the Boss was shot to death in a Coney Island restaurant. Terranova was supposed to drive a number of the gangsters from the scene but appeared so rattled that he could not put the car key into the ignition. Valachi said he heard that the loss of nerve cost Terranova his leadership role. In the early 1930s, the administration of reform Mayor Fiorello LaGuardia attempted to break up the artichoke monopoly by halting all sales of artichokes in the city. By then, Terranova seems already to have passed the racket on to Joe "Muskie" Castaldo. The leadership of Salvatore "Charlie Luciano" Lucania's Mafia organization assumed control of other Mafia rackets in East Harlem and the Bronx and seized the lucrative numbers game from Terranova's old partner Dutch Schultz, who was murdered in 1935. New York City officials denied Terranova access to the city, placing him under arrest on a charge of vagrancy whenever he crossed the city line from Westchester County. In May 1937, Terranova stated in court that he had no income, few assets and no job. The Pelham Manor home had been taken by creditors. He continued to live there as a tenant but had no funds to pay overdue rent. A finance company forced him to court after it had been unable to collect for eighteen months on the $542.87 owed for a furnace at the home. Terranova claimed he had been living for some time on borrowed money. About a month later, reports said Terranova was vacating his home and planning to return to live in New York City. The police made no move to stop him from entering the city at that time. Police Commissioner Lewis J. Valentine told the press that he permitted Terranova's return because the former gangster "is now criminally and financially impotent." The tenement Terranova moved into, 338 East 116th Street, and the neighborhood around it had been part of his family history. It was the same building where he and his brother Vincent lived with their families in the opening years of the Prohibition Era and the same building where his former top aide Frank Livorsi still lived. At forty-nine, Terranova could have reasonably expected to live many more years. Perhaps he was planning to restart his rackets career in the location where it was launched many years earlier. But it is difficult to imagine that Terranova could be in that place and not think of death. The apartment building sat a few doors to the west of the Ciro, Nicholas and Vincent Terranova pre-Prohibition residence at 350 East 116th Street - the address where Nicholas lived at the time of his 1916 murder. The building just next door to that, at 352, owned by relatives, was the spot where half-brother Giuseppe Morello was killed. Across the street, within view of 338's front entrance, was the spot where Vincent Terranova's blood was spilled in 1922. "$5,000 loot taken at Vitale dinner," New York Times, Dec. 9, 1929, p. 14. "10,000 at funeral of 'Joe the Baker,'" New York Times, Feb. 8, 1931, p. 30. "2 die in pistol fight in Brooklyn street," New York Times, Sept. 8, 1916, p. 18. 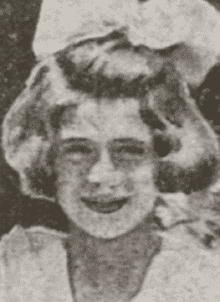 "7 of Vitale guests had police records, Whalen declares," New York Times, Dec. 13, 1929, p. 1. "Armored car owner queried on Marlow," New York Times, July 11, 1929, p. 1. "'Artichoke King' seized and freed," New York Times, Feb. 17, 1935, p. 27. "Artichoke King comes down to his last button," New York Post, May 14, 1937. "Artichoke king dies in decline," Fresno CA Bee, Feb. 22, 1938, p. 12. "Artichoke king dies in poverty," New York Daily News, Feb. 21, 1938, p. 30. "Artichoke king dies penniless," Windsor Ontario Star, Feb. 21, 1938, p. 19. "Artichoke king irked by his latest arrest," New York Times, May 25, 1934, p. 17. "Bail runner shot in street ambush," New York Times, Feb. 4, 1931, p. 11. "Catania dies of wounds," New York Times, Feb. 5, 1931, p. 26. "Ciro Terranova," Boston Globe, Feb. 24, 1938, p. 15. "Ciro Terranova," New York Daily News, Feb. 22, 1938, p. 33. "Ex-Artichoke King broke," New York American, May 14, 1937. "Ex-Artichoke King gives up his palace," New York Daily News, June 23, 1937, p. 30. "Gang glitter absent at Terranova burial," New York Daily News, Feb. 24, 1938, p. 37. "Indict Schultz on 3 counts in record time," Brooklyn Daily Eagle, June 19, 1931, p. 1. "Link Vitale fete to Uale murder," Brooklyn Daily Eagle, Dec. 26, 1929, p. 1. "Police guard body of Ciro Terranova," Baltimore Evening Sun, Feb. 23, 1938, p. 29. "Reveal millionaire as real head of new 'numbers' banking combination," New York Age, Aug. 20, 1932, p. 1. "Rich restaurateur shot dead by gang in bootleg quarrel," Brooklyn Daily Eagle, May 8, 1922, p. 3. "Rise and fall of a racketeer," Hartford CT Courant, Feb. 25, 1938, p. 12. "Seven bandits hold up 50 at dinner to Vitale; escape with thousands of dollars' loot," New York Times, Dec. 8, 1929, p. 1. "Six are indicted as artichoke trust," New York Times, April 8, 1933, p. 1. "Terranova agrees to a receivership," New York Times, May 14, 1937, p. 6. "Terranova appears to talk to police; jailed in hold-up," New York Times, Jan. 17, 1930, p. 1. "Terranova dead; once racket 'king,'" New York Times, Feb. 20, 1938, p. 26. "Terranova seized as vagrant again," New York Times, Aug. 3, 1938, p. 34. "Terranova, paralyzed by stroke, gravely ill," New York Daily News, Feb. 18, 1938, p. 21. "Terranova's exile from city is ended," New York Times, Feb. 18, 1938, p. 32. "Vitale got gun back for cop after holdup," Brooklyn Daily Eagle, Dec. 23, 1929, p. 1. "Vitale guests ex-convicts, is Whalen claim," Brooklyn Daily Eagle, Dec. 12, 1929, p. 1. "Vitale guests granted writ; hit '3d degree,'" Brooklyn Daily Eagle, Dec. 31, 1929, p.1. Ciro Terranova Declaration of Intention, Supreme Court of New York County, June 9, 1914. Ciro Terranova Petition for Naturalization, 78124, Supreme Court of the State of New York, submitted July 25, 1918. Greene, Roger D., "N.Y. racket smasher, 35, nearly became singer," Oakland CA Tribune, July 26, 1937, p. 5. Joseph Catania Death Certificate, No. 1453, Feb. 4, 1931, Department of Health of the City of New York. New York City Death Index, certificate no. 4180, Feb. 20, 1938. Turcott, Jack, "Ciro is down to last artichoke," New York Daily News, May 14, 1937, p. 22. United States Census of 1920, New York State, New York County, Assembly District 20, Enumeration District 1362. United States Census of 1930, New York State, Westchester County, Village of Pelham Manor, Enumeration District 60-316. Vincenzo Terranova Petition for Naturalization, 105297, Supreme Court of the State of New York, submitted May 6, 1920.